With the NBA schedule now released, which three games are can’t-miss matchups in your eyes? Crouch: L.A. Lakers at Portland Trail Blazers (Oct. 18). 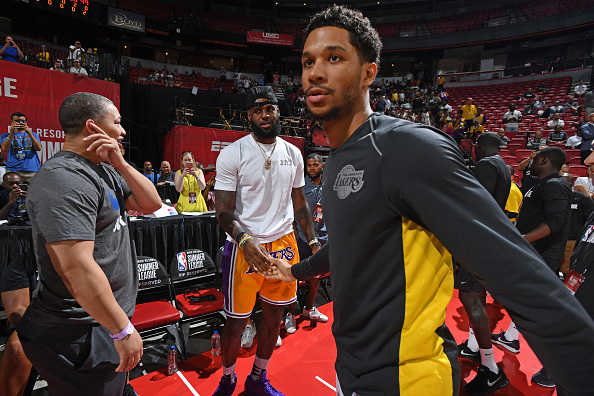 LeBron’s move West has shifted the entire landscape of the NBA, but how the Lakers fare this season still remains the League’s biggest mystery. On paper, you can argue LBbron’s new supporting cast is already more talented than the Cavs squad he dragged into last year’s Finals. Realistically though? His new teammates are undoubtedly more volatile. Making things work might be a high-wire juggling act, but if anyone can balance things out, it’s The King. It’s no secret LeBron is constantly thinking about his legacy and impact on the League. He knows there are big shoes to fill in Lakerland. We can expect some signature statement games against Kyrie’s Celtics, Steph’s Warriors, and of course, the Cavs, but his first game in the purple and gold is guaranteed to be unforgettable. If he goes on to maintain the dominance we saw last season, and somehow mounts a serious challenge in the West, the debate about his overall legacy becomes much more interesting. In the doomsday scenario, the core of Stephenson, Beasley, Rando and McGee implodes, and LeBron either goes God-mode (must watch! ), decides to coast (must-watch! ), or loses his mind (again, must-watch!). Whatever happens this season, we’ll get our first peek of what’s to come against the Blazers. Philadelphia 76ers at Boston Celtics (Opening Night: Oct. 16): There’s a reason these guys are going head to head on opening night. 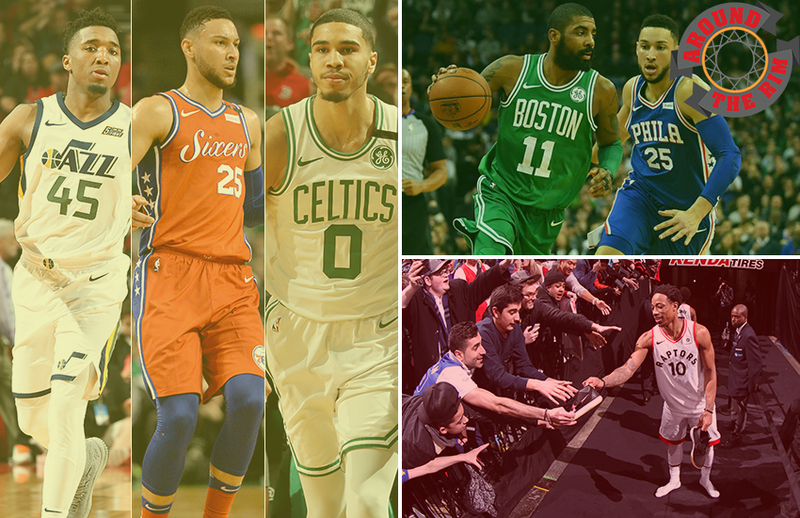 One of the NBA’s greatest rivalries has been on the back burner for some years now, but last season’s second round was just a taste of things to come in what’s now a wide-open Eastern Conference. The Process is officially over. The 76ers are finally relevant again, led by two bona-fide stars in Ben Simmons and Joel Embiid. Boston was already one of the NBA’s most exciting teams, even with Kyrie Irving and Gordon Hayward in street clothes. The Celtics now run it back with one of the deepest, best coached squads in the league, and two marquee players who are finally healthy. The post-LeBron East is wide open, and the road to the championship will either go through Boston or Philadelphia. Don’t overthink this one. Toronto Raptors at San Antonio Spurs (Jan. 3): After years of regular season dominance mixed with playoff futility, the Raptors finally blew it up. They sent their franchise cornerstone to Texas just weeks after saying they wouldn’t trade him. DeMar DeRozan spoke in painstaking detail about the heartbreak of leaving Toronto, but now joins a system that could see his game reach a new level. Gregg Popovich pulled the ultimate power move by shipping Kawhi Leonard to a freezing cold Toronto over sunny Los Angeles. A healthy, motivated Leonard could realistically take the Raptors to the Finals… Or things could be a complete disaster. Both franchises completely changed their trajectories when Leonard forced his way off the Spurs. When they finally go head to head, DeRozan will be out for blood. Leonard’s return to Texas presents plenty of questions. Will he get a tribute video? Will he get booed? Will he even play? I’m fascinated by all of this. Douglass: The first two weeks of games are going to be very interesting. I think I can probably say that every single season, but there are a couple that stand out. One is Philly at Boston on October 16. There are a lot of questions surrounding Hayward’s fit with this Boston team that nobody could possibly give an answer to until the games begin. Assuming Gordon starts the season healthy, Philly is a perfect test to give a glimpse of what their team will actually look like. Things can obviously change up until the playoffs, and I don’t doubt Brad Stevens being able to look ahead no matter the result of this game, but I have to believe Boston players are going to want to show out in this game to establish themselves. Gordon’s recovery has been anything but smooth, and my inside sources tell me he got pretty restless watching Boston fall in love with Tatum and Brown while he could barely run so I imagine he will want to start the season strong. Embiid is also going to want to send a message early after his subpar series vs. Boston in the playoffs, so this is set up perfectly in so many ways. That’s a 3 a.m. game for me in Israel so I just hope we have practice late that next day because I don’t want to miss a possession. My second choice would be Pacers at Bucks Oct. 19. This is the childhood Pacer fan in me that just won’t die. I think I have a good idea of what this Pacer team will look like this year, but I just can’t figure out Myles Turner. I think he needs to make a big step forward if this team wants to seriously compete in the East, and the Bucks early on will be a fun test to see where he is versus a top team in the East. I’m not sure they can expect the same production out of Bogdanovic, Collison, and Young that they got last season, and even though the addition of Tyreke Evans should help with that, I still don’t see it putting them over the edge. Their defense can carry them a long way, and maybe the continued success of Sabonis makes Turner a great trade piece in the middle of the season, but I still see Turner as the key to them winning the East anytime soon. Can my guy get a higher usage rate than Domantas Sabonis this year?! Listen, if my campaign to slowly turn Indiana into an NBA state and not a college basketball state is going to be successful then I need Turner to become the type of player he started to get compared to during his stellar sophomore season. Cross your fingers. My third choice would be any Christmas game. Everything about these games is just pure fun. From the special jerseys to the big-time matchups and bright lights to the bashing of special jerseys that no major sports apparel company seem to care about in recent years. C’mon. Can I get Santa chugging milk on a jersey? Maybe the other reindeer picking on Rudolph? I’ll even take a stocking full of coal. Who honestly cares if you go crazy? Anyways, all of these games are legit, and I will be tuned in to all of them because we don’t celebrate Christmas in Israel. The one perk of of being away from family during the holidays. 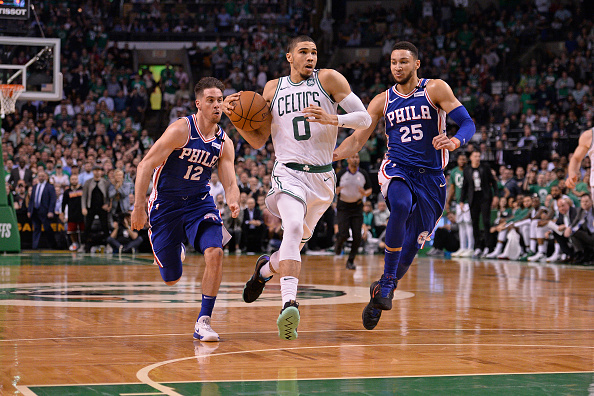 Ehrenberg: Oct. 16, Sixers at Celtics. No matter what, the first game of the season is a can’t-miss game for me. Getting a great matchup just makes it that much better. There are a couple things I am looking forward to here. From the Sixers side, I want to see Fultz play this year. None of us have any clue what happened with him last year, but I still believe in his ceiling even though the floor has to be considered low at this point. From the Celtics, we finally get to see them healthy with Hayward back in action. Oct. 17, Mavs at Suns. I am a staunch Luka Doncic stan. All offseason I have touted him as a better prospect than Ayton and they match up for their first career games. Bragging rights are on the line. When Doncic outplays Ayton I can gloat and retweet my old takes. If Ayton outplays Doncic then I can remind people that one game is a very small sample that we shouldn’t draw conclusions yet. Christmas Day, Lakers at Warriors. This is probably the most expected answer, but for good reason. The Warriors have their death lineup and I need to see how it matches up against the meme team lineup of Rondo/Lance/Lebron/Beasley/McGee. Whitacre: Mavericks vs. Hawks on Oct. 24. It’s not like this game will settle the Doncic vs. Young debate, but I’m very curious to see how they fare against each other. Raptors vs. Spurs on Jan. 3: Spurs fans have never been in a position like this, where a player has forced his way out of San Antonio. I’m very curious to see if the crowd shows appreciation for what he did while he was there, or if the wounds are still too fresh from what happened last season. 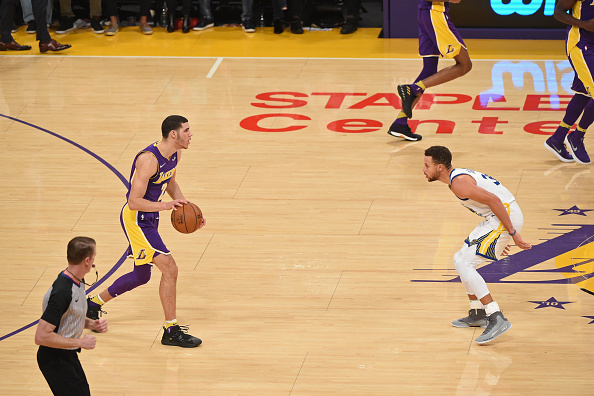 Lakers vs. Warriors on Dec. 25. JaVale McGee returns to Oracle! There might be some other stuff going on in that game as well. Looking at the over/unders for this season, what’s one team you feel confidently will hit either the over or the under and one team you feel will trick people into a tough bet? 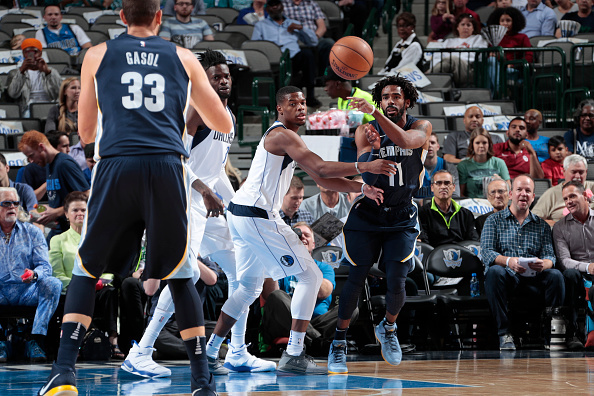 Whitacre: I know betting on the Grizzlies to be healthy is always a risk, but I think they should be able to clear 31.5 wins with ease, as long as everything doesn’t fall apart like it did last season. 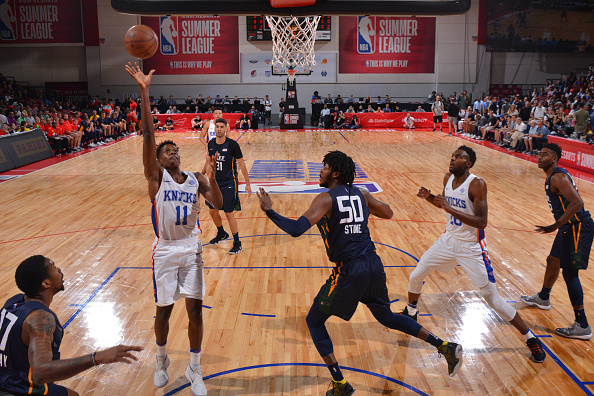 Jaren Jackson Jr. looked great in Summer League, Garrett Temple was a great addition, and now that Mike Conley is back, he’ll make it tough on the opposition every night. On the other hand, I think the Spurs will be closer to the 44.5 win mark than people want to admit. LaMarcus Aldridge probably won’t replicate what he did last season, Pau Gasol and Patty Mills are due for some regression, and losing stabilizing forces like Tony Parker and Danny Green could take its toll as well. I won’t put it past Pop to find a way to drag this team to 55 wins, but if they don’t, it says a lot more about the state of the roster than it does about him. Crouch: I think Milwaukee will cruise past 45 wins. Have you seen Ripped Giannis?! His shoulders may genuinely be the scariest thing in the NBA. He’s bound to take another giant step forward, and will probably mount his first serious MVP campaign. Khris Middleton quietly remains the most underrated player in the NBA, while the Bucks added size and shooting in Brook Lopez and Ersan Ilyasova. Donte DiVincezo went off in the NCAA Championship, and looms as an X-factor. Moving on from Jabari Parker was a tough pill to swallow, but his turnstile defense won’t be missed. This could finally be the year the Bucks put it all together. I also like the idea of New Orleans winning more than 43 games. They proved they can bang with the best in the playoffs, even without DeMarcus Cousins. It goes without saying Anthony Davis will continue to be a force of nature, while Jrue Holiday’s two-way play is without peer. The sharpshooting Nikola Mirotic is a perfect complementary piece. 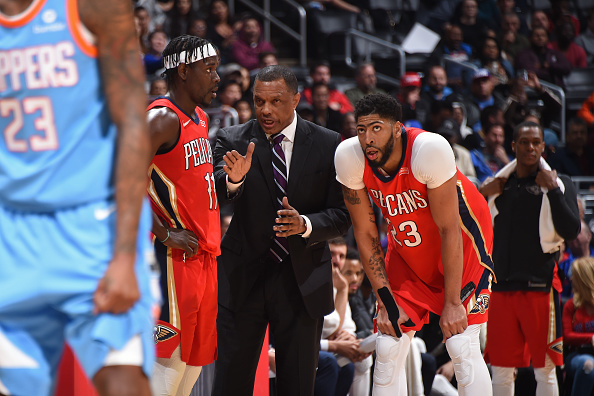 Adding a bruiser like Julius Randle and replacing the departed Rajon Rondo with Elfrid Payton only raises the Pelicans’ ceiling. I’d be wary of the Clippers though. They were in the playoff race last year, but with the door now well and truly closed on Lob City, I don’t see this year’s cast of misfits anywhere near the bubble. They have some nice young pieces and a few players who can carry the load, but remain without a star, and struck out in free agency. Until they decide to go all in on a rebuild or land a big fish in free agency, they’re doomed to the treadmill of mediocrity. Douglass: I have a weird confidence the Clippers will go over 36.5. I just think their roster is capable of scoring and guarding at a level to be average, but I suppose crazier things have happened. There are definitely a lot of questions with this roster and where guys fit, but I think Doc can figure out. Can Avery Bradley be average this year? I might be second guessing this. I’m not really sure how people feel about the Pelicans but 44.5/45.5 seems high. Losing DeMarcus is huge. I love Julius Randle but playing on the Pelicans with playoff expectations is a little different than playing pickup for the Lakers. I think he will figure it out, but there could be some bumps along the way. I also believe losing Rondo is huge as well no matter how good or bad you think he was last season. The ability to handle the ball that much and simply be average at the point guard spot was big for the Pelicans last year. Is Elfrid Payton going to step right into that role? Can Ian Clark step up more? Will they replace Rondo’s ball screens with off ball actions? Jrue Holiday’s usage will have to be above 23.1 percent, but him and E’Twaun Moore could miss Rondo taking the pressure off them to handle the ball and create. Those are too many questions for me. Ehrenberg: Under 32.5 wins for the Knicks is my favorite win total bet. The Knicks only won 29 games last year and this should be a significantly worse team. Porzingis is out for at least half the season and there probably won’t be a good reason to force him into significant minutes at all in 2018-2019. I think a lot of people will bet over 50.5 wins for the Lakers, but outside of Lebron I don’t love their roster. 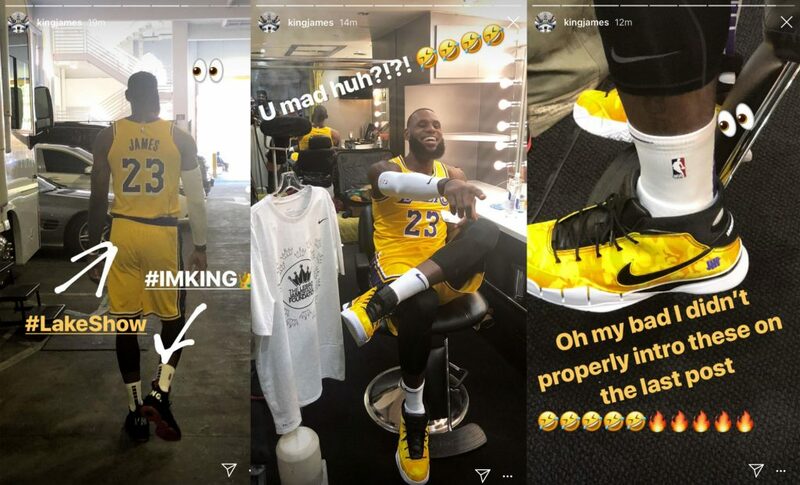 Magic Johnson appears to have built a team with the goal of garnering social media attention as opposed to winning games. Lebron is obviously terrific, but it is tough for me to see him carrying this roster to over 50 wins in the loaded West. Looking at who did and didn’t get a lot of national games, who would you have given more spotlight to and who would you have pulled games from to make that happen? Ehrenberg: More spotlight to the Raptors and take away spotlight from the Knicks. If all goes well with Kawhi this year, then I favor Toronto to win the East. If all goes well with the Knicks this year, then I suppose it is possible they don’t finish with the worst record in the Atlantic division. Whitacre: I think the schedule makers will regret not giving the Jazz more of a chance to shine on national TV. 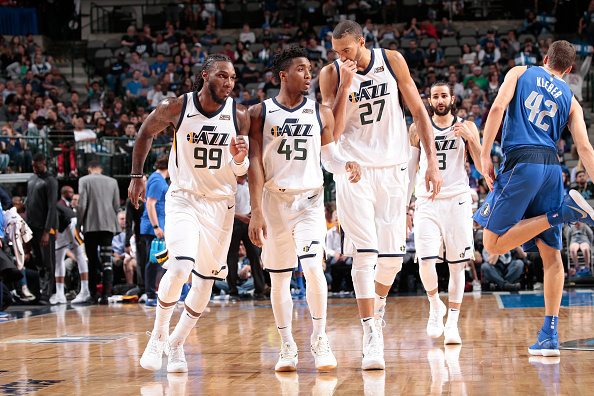 Donovan Mitchell needs time to shine and Utah was one of the best teams in the league the second half of the season. Yes, they might be a tier below your true elites, but I wouldn’t mind shuffling some of Oklahoma City and San Antonio’s games to Utah in order to level things out a bit more. Crouch: Is it any surprise I’ve gone for two lottery teams with two highly touted rookies? Led by Luka Doncic, the Dallas Mavericks could be one of the more intriguing teams to watch as the season goes on. Doncic is already one of the most interesting lottery picks in years, and the fascination only grows after teams seemingly cooled on him during draft day. Given his dominance in Europe, he should be tailor-made to lead Rick Carlisle’s offense from day one. A backcourt pairing his smooth playmaking with the uber explosive Dennis Smith Jr. might be appointment viewing by season’s end. Meanwhile, the Mavs finally got their man in DeAndre Jordan (albeit a few years later than planned), who immediately raises the team’s ceiling, and that’s without even mentioning Dirk Nowitzki. An icon in Dallas and one of the League’s most beloved stars, the Dirk farewell tour will be an enjoyable wrinkle all year, especially on the rare occasion he flashes glimpses from his unstoppable prime. 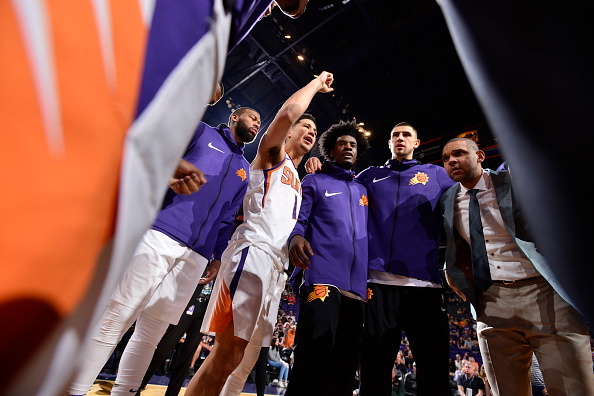 They might have finished with the worst record in the League last year, but the Phoenix Suns should also take a big step forward. The playoffs remain out of reach, but Devin Booker is one of the League’s brightest young stars and a League Pass wildcard on any given night. Monitoring the progress of a throwback big like Deandre Ayton will be an interesting case study as the League goes smaller and faster. He may struggle, but already has a ready-made NBA physique and will have a few monster games. Trevor Ariza’s addition will speed up the rebuild. Besides that, the team has a bevy of young players ready to make the leap, who will be worth keeping an eye on. I can’t say I’m particularly interested in watching Oklahoma City. Russell Westbrook can be basketball nirvana on any given night, and Paul George will be all in after making his stay permanent, but I’m not convinced this team will be much fun to watch. Westbrook’s hero ball routine can get very old, very quickly, especially as a wide-open George wastes away beyond the perimeter. Most painfully though, watching Westbrook’s solo act is a constant reminder of what could have been for the Thunder: A core of Westbrook, James Harden and Kevin Durant. Otherwise, is there a more depressing team to watch on any given night than Minnesota? Karl-Anthony Towns has so far only teased his incredible talents, while Andrew Wiggins is paid far too much to do far too little. Jimmy Butler is unhappy and may even want out. Tom Thibodeau continues working desperately to reunite the 2012 Chicago Bulls, all while grinding his starters into dust. They will win games on talent alone but could be one of the most miserable teams in the NBA this year. After finally ending that long playoff drought, there’s every chance Minnesota will soon be back out in the cold. Douglass: All I know is that the NBA could’ve chilled out with all of the Lakers games on national TV. You could’ve taken quite a few from them and given them to just about anyone: Denver, Indiana, New Orleans, New York, Minnesota, doesn’t matter. You could probably have taken 1 or 2 from the top 5 teams and handed them out without any negative consequence. I’m not going really act like I know what will help the NBA’s overall numbers and mission to grow the game, but I have a bad feeling about this Lakers team and what that means if they stink it up on national TV over and over. Especially if they aren’t looking great at the end of the year and Lebron decides to sit games. Or LeBron is just that powerful and he’s always what’s best for the game. Ya that’s probably the right answer. His gravity is hard to escape. NBA 2K wisely avoided backlash by making Ben Simmons, Jayson Tatum and Donovan Mitchell all 87 in the 2019 edition of the game. I will afford you no such courtesy, who is going to be the best sophomore among the trio? Douglass: Unless Ben Simmons somehow discovers a shot outside of 10 feet, Donovan Mitchell will be the best NBA player this season. Overall I still believe Tatum can be the best player out of the group, but he just won’t be needed as much this year compared to the other two. If I’m forced to give a prediction for the rest of their careers then I’ll say Mitchell because he will probably have a higher usage on a good team for longer. Tatum’s peak can match or beat all of theirs, and if he stays on the Celtics then he will be the most likely to win championships. Ya, over Philly. We’ve all seen how that shapes the conversation around players now. I just think Simmons will continue to get exposed without a jumper. Hell, Lebron needed a better jumper, and Simmons just wishes he had Chuck Hayes’ free throw percentage. Ehrenberg: Give me Simmons. His lack of a perimeter shot is a glaring deficiency, but if he ever adds a semblance of a jump shot to his physical gifts, then his ceiling is ridiculous. He still managed to be an impactful player on offense without a shot last year and he is already one of the better defensive players in the League. 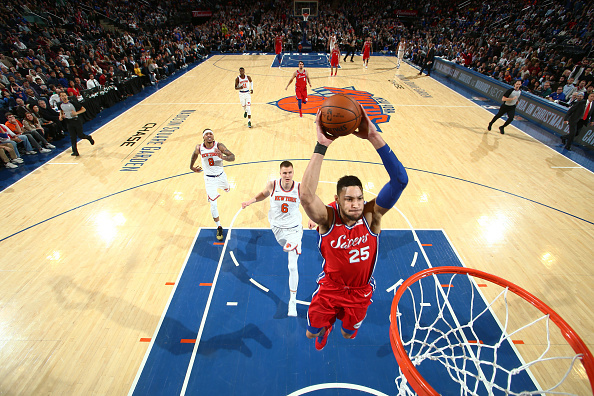 Whitacre: If we were just looking at this season, I’d take Ben Simmons, because in situations like this, I prefer the guy with the best strength, and I think that’s Simmons’ ability to see the floor and run an offense. That said, if we’re talking about the course of a full career, I’d rather take Tatum because I think he’s more well-rounded and has the highest ceiling. Crouch: My gut says Jayson Tatum. Ben Simmons might be LeBron Lite, but how far can he go without an effective jumper, let any resemblance of a three point shot? In today’s NBA, I don’t buy it. Don’t get me wrong, he’ll have no issue bulldozing defenders and dominating games in a way only few players can, but I can’t see him evolving in the same way as Tatum. He’s only 20, and has already shown elite NBA range, an array of unique dribble moves, a desire to play defense, as well as textbook fundamentals. There’s a reason he was off the table in trade talks for Kawhi Leonard. In Brad Stevens’ system, along with a strong support cast, he’ll have every opportunity to continue evolving into something special. 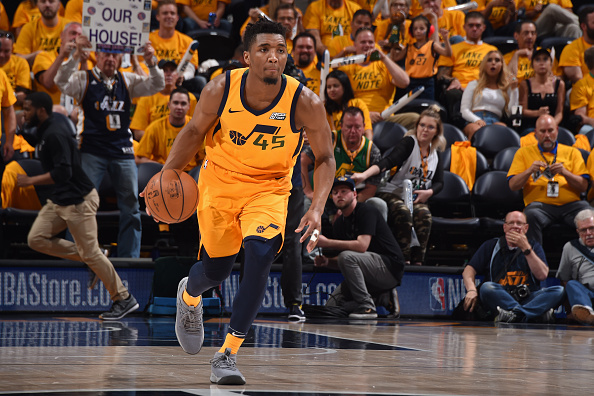 Donovan Mitchell might already be the franchise cornerstone in Utah, but I feel like he comes in third, but not by much. 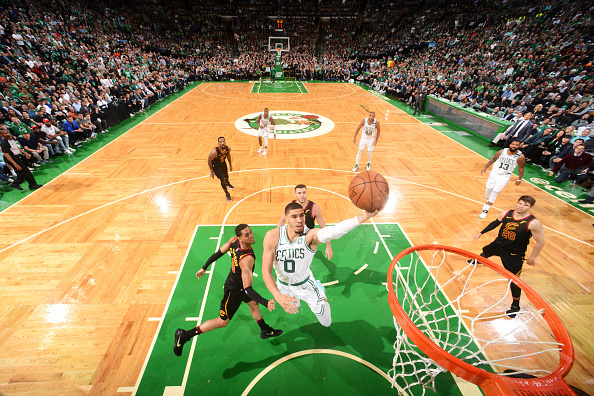 Tatum’s range, size and potential gives him the edge. Waves were made when Kawhi Leonard released a belated parting note for the fans of San Antonio. Do players owe fans a good bye, what do players owe fans in general? Crouch: Players are entitled to leave teams. Fans don’t always like it, but it’s the sad reality of today’s NBA. The League is a business, and realistically, loyalty just isn’t valued the way it once was—just ask Isaiah Thomas. But with that said, the divorce between Kawhi Leonard and the Spurs is one I still can’t get my head around. In 2014 he was a Finals MVP and heir apparent to Tim Duncan. Now, he’s a Toronto Raptor. San Antonio fans are still furious about the messy divorce, mostly because Leonard was M.I.A. for most of the season before inexplicably forcing his way out of town. How did it happen? No one really knows, and that’s the issue. I think when it comes down to it, players owe fans honestly. They’re entitled to leave teams, demand trades, and do whatever they believe is best for them and their families. They work hard for their entire lives and deserve to control their own destiny. When a player leaves a team, a goodbye letter is a fantastic gesture of goodwill, and one that says a lot about a player’s character… But in reality, all fans really want to know is why a player made that choice. They deserve that much. Douglass: No. Players don’t owe fans a goodbye. If a player worries about their image and endorsements, then you could say they “owe” the fans a goodbye as something inherent to staying in good graces with fans. Really, San Antonio fans should be thanking Kawhi for winning Finals MVP. Kawhi did owe the Spurs to honor his contract if he was capable of playing, but that’s still unknown. He could’ve handled the situation better, but right now teams and fans have all of the power in the relationship when it comes to allegiances. The perception around athletes wanting to change teams needs to change. From college to the professional level, it’s a business and it needs to be cutthroat both ways because it sure as hell isn’t going to stop being cutthroat from teams and fans. You can point to LeBron and other NBA guys that do amazing stuff off the court, but that’s not owed. The perception that NBA guys giving back to the community is something that’s expected. I’m pretty sure it’s already there and has been for a while now, but that shouldn’t be a demand from fans. Imagine demanding “loyalty” or a goodbye from an athlete who has no idea who the hell you are. Ehrenberg: All players owe the fans is to show up to games and play to the best of their capabilities. As fans, we are extremely hard to please. When a skillful player signs with a bad team fans complain they don’t care about winning. When a great players signs with a great team fans complain they are ring chasing or taking the easy way out. Us NBA fans are whiny bunch and we aren’t going to happy with anything players do. LeBron says farewell to Cleveland. Whitacre: I don’t think players “owe” the fans anything other than just showing up and playing hard when they’re healthy. While there’s a lot of emotions that come with sport, at the end of the day, it’s still a business transaction. The fans pay to watch the players entertain them, the players are compensated for entertaining the fans. Simple. That said, players who care about their legacy should hold themselves to a higher standard, because ultimately, fans are the ones who determine a player’s true legacy. If you want to have a lasting legacy with a fanbase, you owe it to yourself to have great community relations, write the classy goodbyes, and do all the other little things that make a lasting mark.